That keep reminding me I’ve gone away. To remind you we’re far from you are home. Reminding me you’re far away. 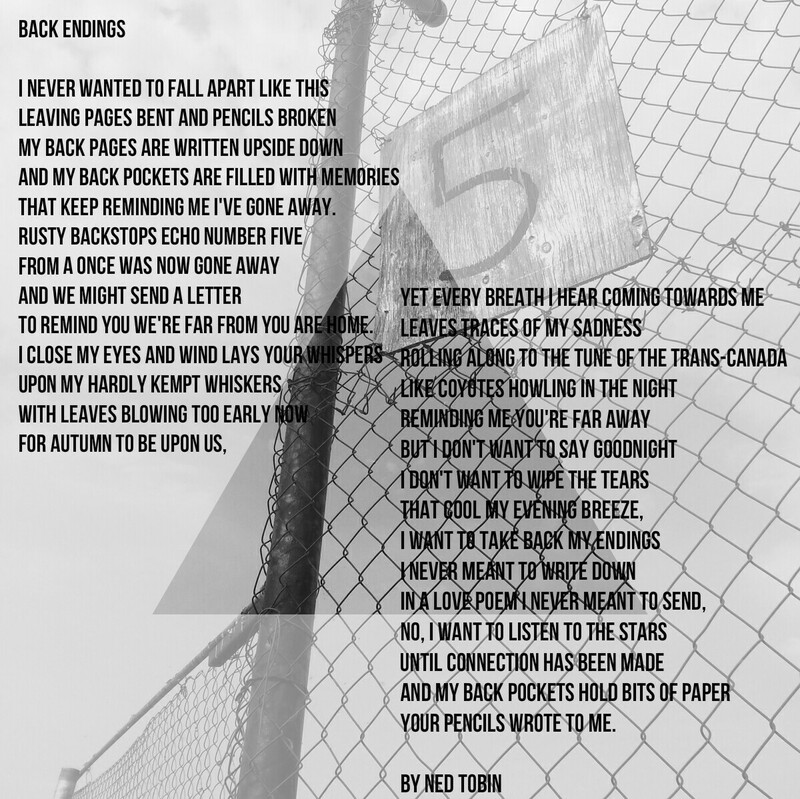 Your pencils wrote to me. Through the day’s open sky. Where I’ll know no one again. As the sky says it’s goodnight. With essence of the forest. Grow so strong and freely here. Respecting one another’s deep wisdom. A loon calls out for twilight. For a sun to lead the way. She cast into the night. He said: “My dear how are you there? Locked arm in arm as they strolled. A friend she’d never met. Learned her every midnight name. Boots tied tight and laces frayed at the ends. And I’ve got my home about my back. That I can no longer remember. Into a dark sea, no more.